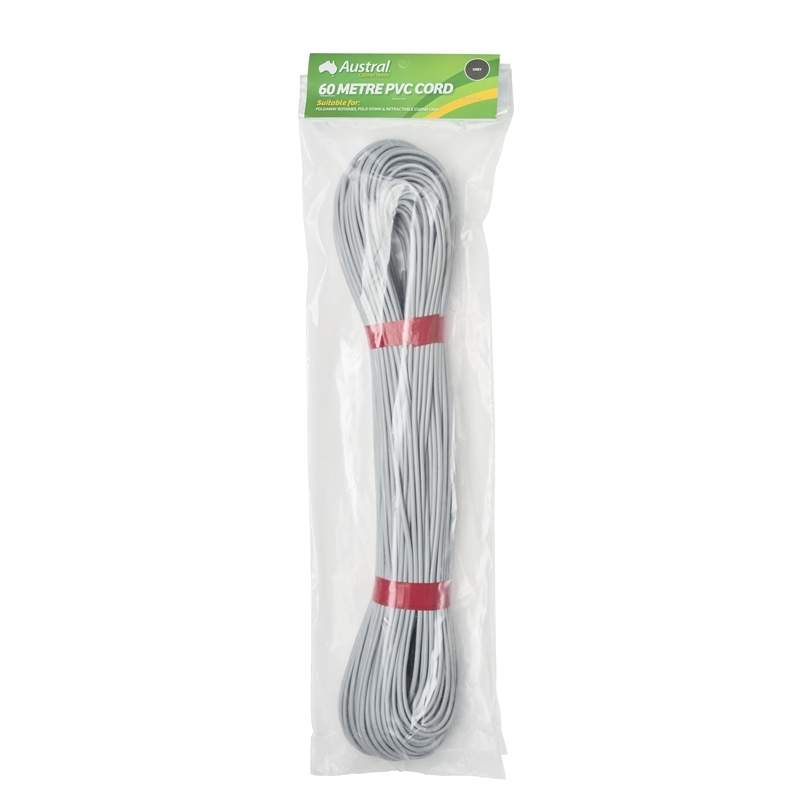 Suitable to re-cord clotheslines with up to 60m hanging space. Austral's cord has an outer coating of flexible PVC (non-lead) that is UV stabilized, to remain pliable with minimal stretch. The polyester core is manufactured using 27 individual monofilaments. 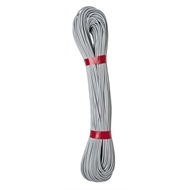 PVC coated cord with strong polyester filament core. Care should be taken to ensure the outer cord coating is not damaged during installation. 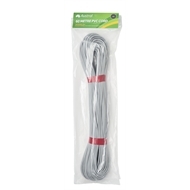 Clothesline Cord should be cleaned occasionally with white vinegar to keep free of dust, grime and mould. Never use bleach or harsh cleaning agents as this may cause deterioration of the PVC coating. 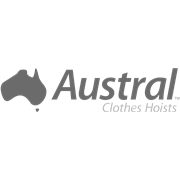 Please refer to installation instructions for how to cord an Austral Fold Down.